When it comes to selecting a dealership, what do you look for? 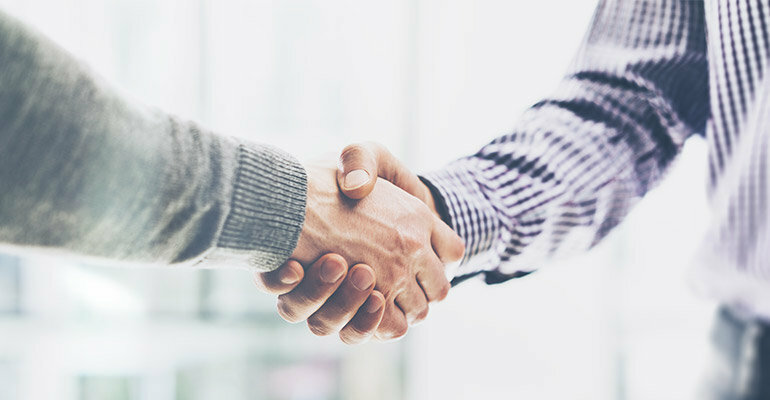 At Bartow Ford, we happen to think that consumers are primarily looking to be treated with respect as they shop for the vehicle that suits their needs. We accomplish this by sticking to our three pillars: integrity, trust, and honesty, throughout everything we do. It’s a fundamental part of our business, and it’s how we’ve been operating since the very beginning, selling new and used cars in Bartow. These words are integral to our mission of providing the best quality service and customer care possible. We train our 200+ employees to interact with customers like they would do a friend or family member because we know how it feels to be seen as simply another sale, and it doesn’t feel good. We want our customers to feel positive about purchasing their car or truck and to have a pleasant experience while shopping, which is not always the case elsewhere. By providing adequate training to every employee we ensure that your experience at Bartow Ford is unlike any other. In fact, customers love that they are given upfront information regarding their purchase since we eliminate the run-around that other dealerships provide. 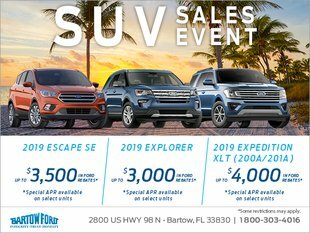 Come to Bartow Ford and experience what it means to visit a dealership whose mission is to provide service with integrity, trust, and honesty. We love all of our new and used cars in Bartow, and we think you’d love one of them too. Visit us Monday – Saturday on US. HWY 98 North, or simply call us at 800-303-4016 to get directions.